Earlier this week, Andrew Bogut revealed to Golden State Warriors fans that he had undergone microfracture surgery on his ankle, and not the arthroscopic procedure that the Warriors claimed last April. All hopes for a transparent new Warriors front office were dashed in the process, as were most of the good vibes emanating from the team 9-6, division-leading start. "I know it's being perceived that it was mishandled and not handled appropriately," Myers said during the pregame show on "Chronicle Live." "Ultimately, that rests on my shoulders. ... Ultimately, the last thing I want to do, or anybody in the organization wants to do, is deceive the fans. So the fact that some people feel that way, I feel really bad about that." The Warriors' strong start had become obscured by the news that Bogut, who has played just four games this season, had a more serious surgery on his left ankle. Back in April, Golden State announced that Bogut had arthroscopic surgery and said he would be out three months after getting his ankle cleaned out. 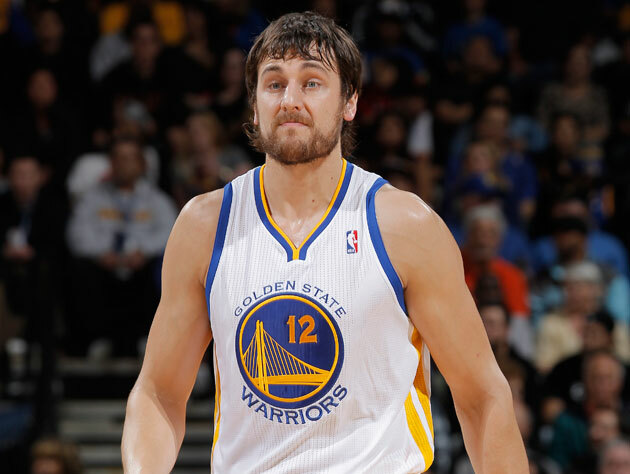 But Wednesday the Warriors admitted Bogut also had microfracture surgery that day. "It's a group of people. It's not one person in a room writing a script," Myers said. "In this specific situation, I feel like I could've done a better job, personally, as to how it was conveyed. ... There is no use really offering anything beyond that. There's not much to be said. It was a cynical move designed to warm the hearts of Warriors fans as they suited up for yet another appearance in the NBA lottery, in anticipation of yet another offseason filled with question marks and a salary capped-out roster. And it's the tangled web that always results. And it is being "perceived" that it wasn't handled appropriately, because you and your staff completely screwed this up didn't handle it appropriately, Mr. Myers. It's just sad all around. Had the Warriors come out and told their fans that Andrew Bogut — months away from turning 28, still with years of productive and All-Star worthy play possibly ahead of him — underwent microfracture surgery on his ankle with over six months remaining between the surgery and 2012-13's opening night? After the initial disappointment, most fans would have been able to handle that. They would have appreciated an end to the mess, one final Big Cut to finish all the nagging nicks that Bogut has worked through unsuccessfully over the last few years. "Most fans" are now the "smart fans," because they have the internet and unending sources at their disposal, and not a team's edict to follow blindly. There's Follow Friday, now, Golden State. Catch up. As it stands, the Warriors lied. The team's front office got together last April, that "group of people" that Myers referenced, and decided that telling the team's fans that Bogut underwent relatively minor arthroscopic surgery was better for them than hearing that he underwent microfracture surgery. They tried this because they thought they knew what their fans wanted, no matter how duplicitous it was. So then Bogut, a player just weeks removed from being traded in exchange for a Golden State fan favorite (to … some) in Monta Ellis, is then charged with returning to action in Arthroscopic Time, instead of Microfracture Time. A wonderful way to endear yourself to your new, hoped-for star. A fantastic way to set expectations for your fans in a way that can't possibly be matched. What were the Warriors thinking? No human, much less a 6-11 athlete that has to work off of that reconstructed ankle, comes back from microfracture surgery in seven months. What did Golden State think was waiting for them at the end of that seven-month rainbow? Teams have been lying about injuries for years, so this is nothing new. But this has to be the last of it, at least on the NBA's level. Fans may not have the access that team executives do, but we're just as smart as them in a number of different ways, all during hours off from our day jobs. The Ivory Tower was dismantled as soon as we became able to access a search engine, or clarify things in 140 characters or less. The lies aren't ending any time soon, though. Myers, in his talk on Thursday, stated that the last thing he wanted to do was "deceive the fans." That's patently untrue. Deceiving the fans is exactly what the Golden State Warriors set out to do. Admitting as much is the first step toward ending this needless ordeal.